More Power- 30% more output current with the same input current allows welding with up to 4.0mm electrode from a 16A input. Portable Everywhere – Lightweight, easy to handle, can operate with up to 100m mains extension cables and suitable to use from a generator. Robust Design, Industrial Use – Electrical safety (IP23), potted PC boards and optimum airflow reduces contamination to extend the equipments life in the harshest environmental conditions. 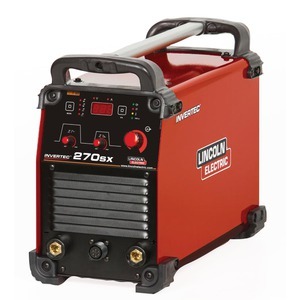 Excellent Welding Experience – Good arc ignition with a smooth stable arc, Soft and Crisp mode, Auto Adaptive Arc Force an optimum choice for welding with every type of electrode. Cellulosic Capability – No electrode is too difficult to weld with. Suitable for small diameter pipe welding. 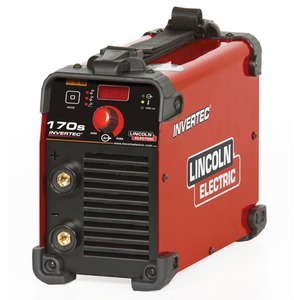 The Invertec® 160SX is built to perform: rugged and robust on one hand, portable in another. 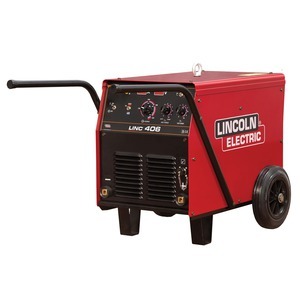 Lightweight and easy to handle in a wide variety of applications, it is ideal for professional industrial maintenance and small industrial projects, both on site and in workshops. Equipped with Power Factor Correction (PFC) Invertec® 160SX provides almost 30% output with the same input current. PFC reduces the power dissipation on input cables by up to 50%. Compliant with the latest European standard EN 61000-3-12. 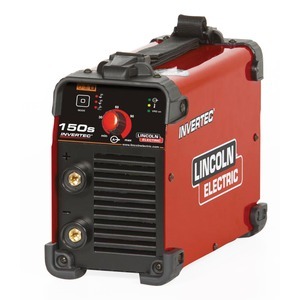 More Power – 30% more output current with the same input current allows welding up to 4.0mm electrode with 16A input. Green Welding Initiative – PFC gives low current consumption, energy saving, low current harmonics and reduction of the total CO2 produced by the welding process.